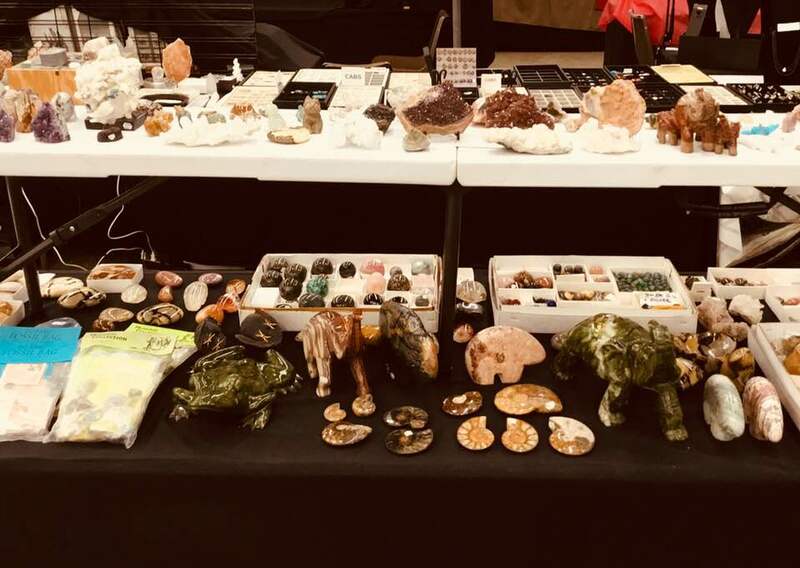 Vendors with Jewelry, Loose Stones, Rough, Cabs, Slabs, Geodes, Beads, Gemstones, Mineral Specimens, Crystals, Fossils, Spheres, and Tools. See our Fluorescent Minerals Tent! 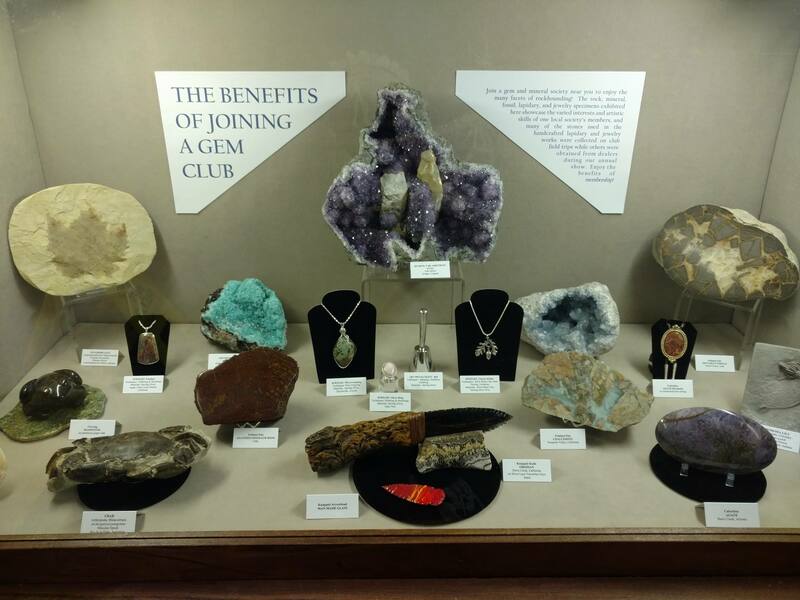 60 plus display cases with things that club members have completed or are working on!